It’s a nod to mid-century style, harking back to the butcher’s stripe often seen on the first compact strollers from the Fifties. Get on board with Bugaboo and come see what all the fuss is about! I bet my all-black Bugaboo Bee would look stunning dressed up in that yellow canopy. The smart black and white striped underside is complimented beautifully with a choice of sunny gold or beautiful jewel blue. The two new lively colours are used to tailor the outside of the sun canopies and aprons creating an elegant and urban look. 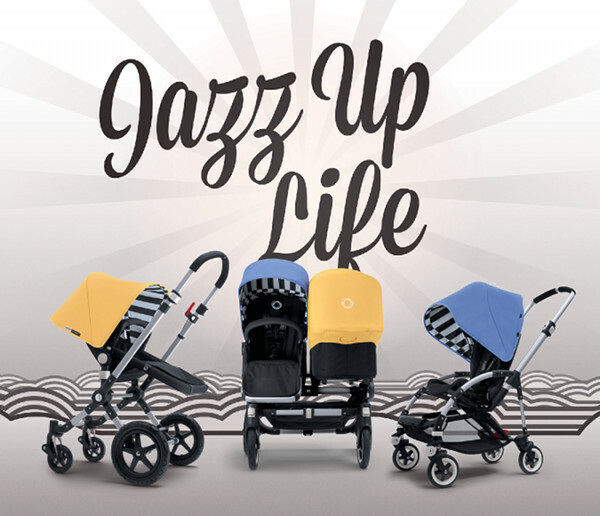 Bugaboo’s Special Colours 2013 features two tailored designs fit for the Bugaboo Cameleon, the Bugaboo Donkey and the Bugaboo Bee, giving everyone the opportunity to get out there and stripe a pose. So there you have it! 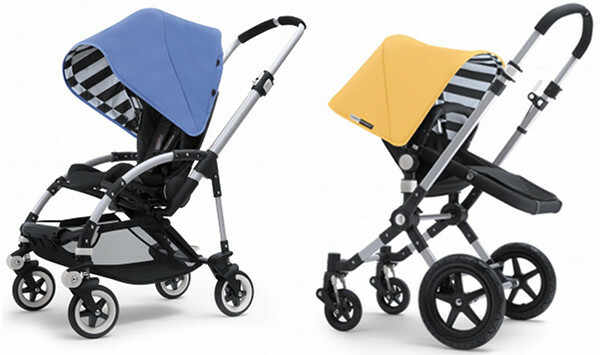 These lush new release Bugaboo accessories will be available in March 2013 from selected retailers such as Minimee.